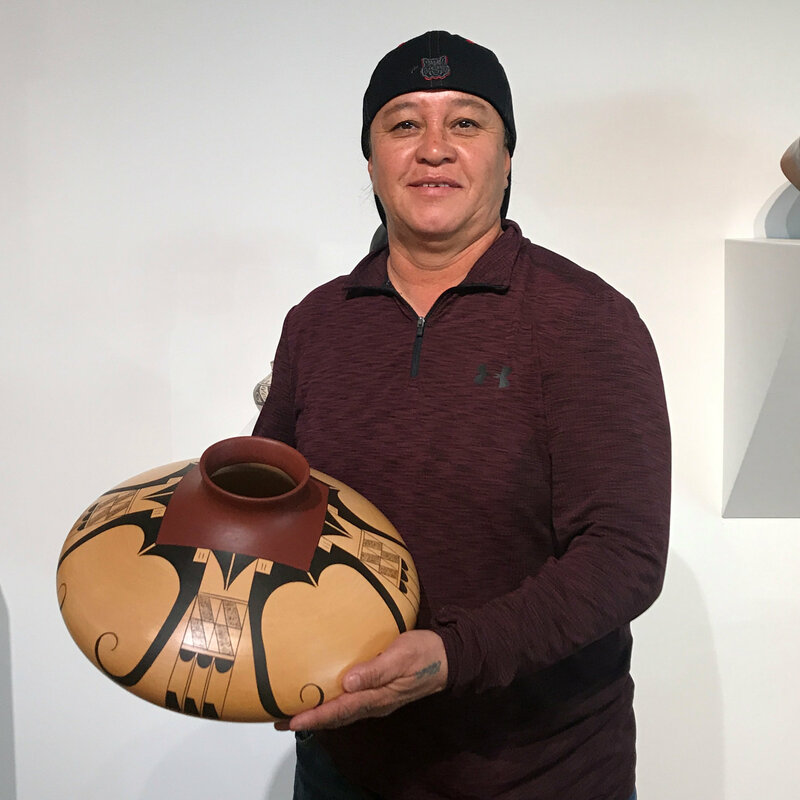 Debbie Clashin has become one of the exciting leaders in Hopi-Tewa pottery over the past several years. She is known for her large-sized traditional fired vessels. This large jar is a wide shape and a slightly turned out neck. The entire piece is stone polished and then it is painted with bee-weed and natural clay slips. The neck is painted with a burgundy red clay slip. 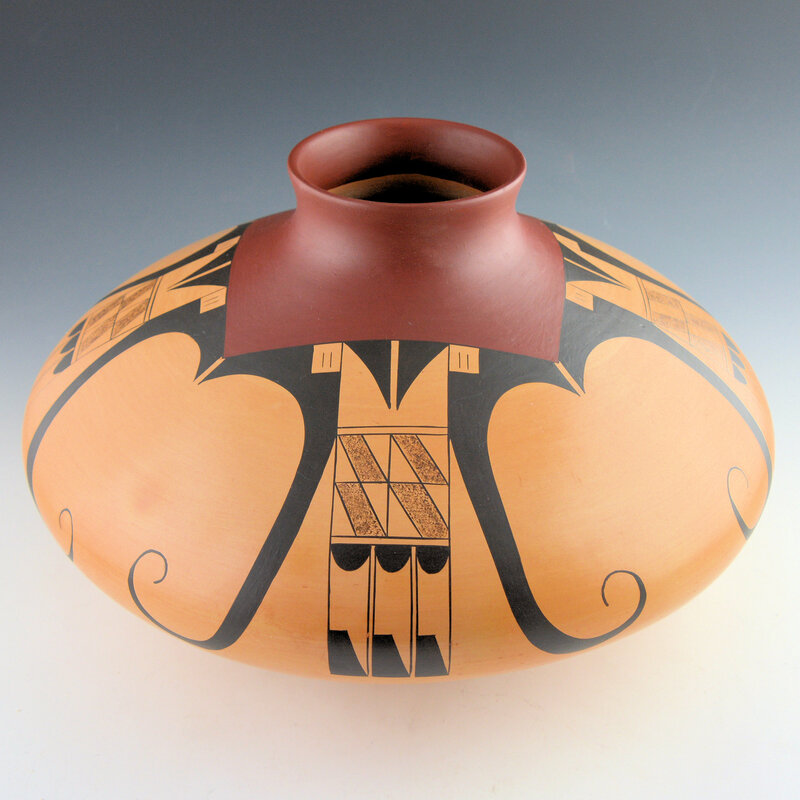 Extending downward from the neck is an eagle tail design. The lines are tightly painted and perfectly fit the shape of the jar. 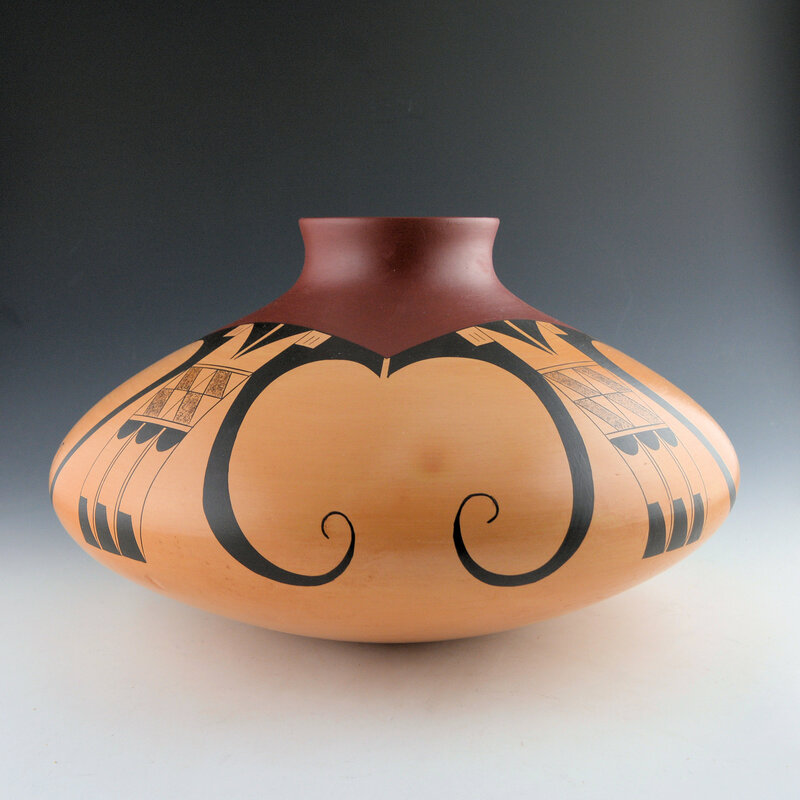 This is a classic Hopi-Tewa design revived by Nampeyo of Hano. 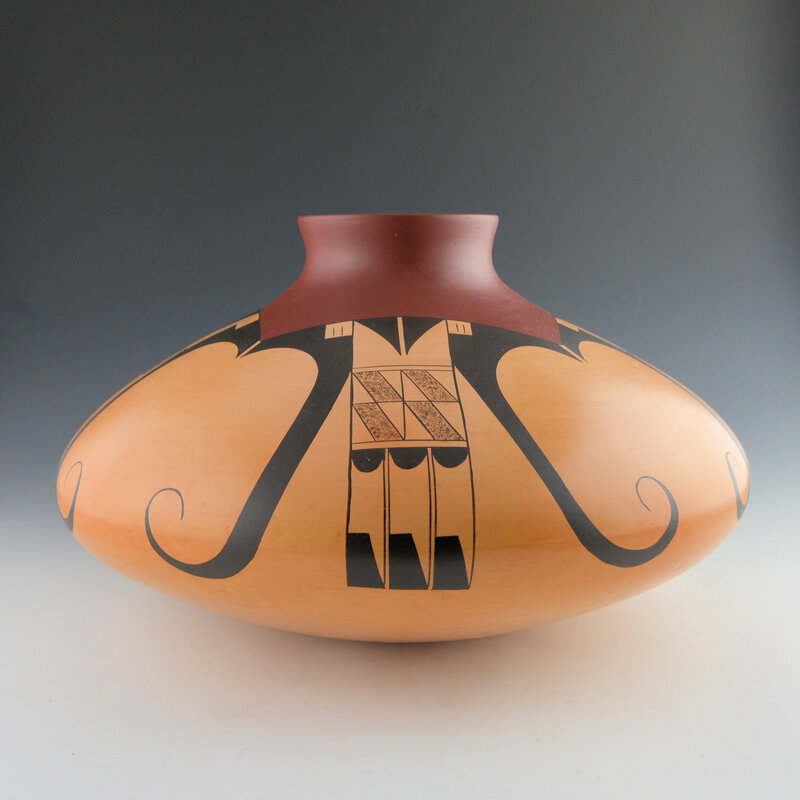 The delicate line and the dark color of the red around the jar make it a very striking piece! 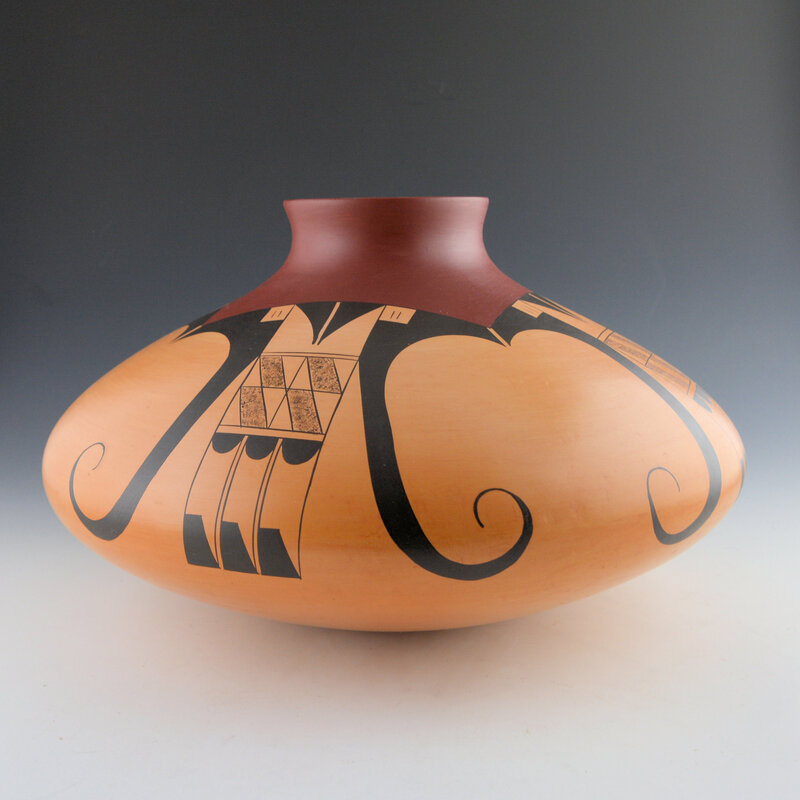 The jar is traditionally fired with blushes across the surface of the piece. It is signed on the bottom with her name and a pipe for his “Tobacco Clan”.